Isn't it funny that as an adult, sifting through childhood memories, there are things you just don't remember? I don't remember seeing black banana's hanging around our home. In fact, I just don't ever remember eating banana's as a kid. My Mom hates banana's and so I think she never purchased them from the store. I can still see her face if you evened mentioned eating a banana…lets just say it wasn't her prettiest look. My grandmother on the other hand did buy them and often had warm banana bread waiting for us when we would come for a visit. The memory of fresh cookies and bread greeting us at the door when we would eagerly run from our still running car is something I do remember with fondness in my heart. The banana bread recipe was one that I copied down and brought with me when I married Cory and we moved to Texas. It was made often, sometimes with nuts and on occasion, without. We loved it drizzled with icing or slathered with warm butter late at night. It was a part of home that I could make when lonely or missing my family. Once the bread was baking and the sweet aroma of baking bread was permeating the air, my shoulders would relax, a sigh would be released and a smile would appear. Banana bread has a special place in my life because it evokes memories that I do remember, if at times, I don't remember every detail. 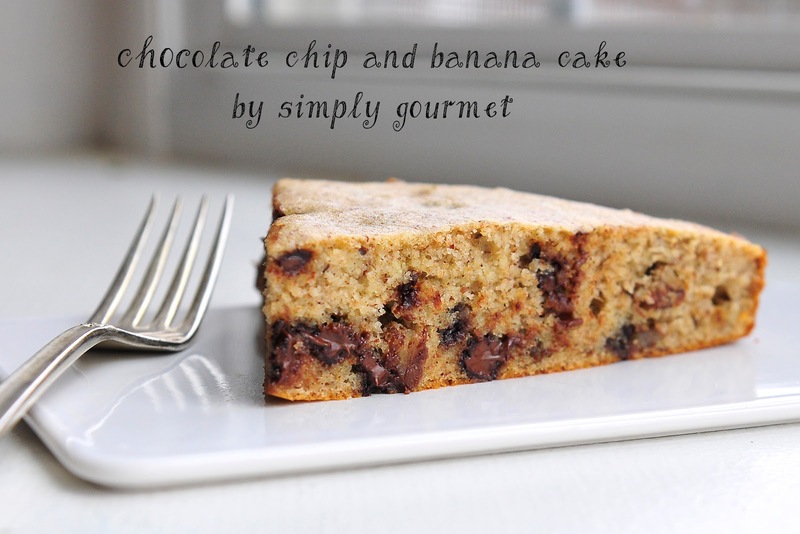 I have missed this recipe and decided to try my hand at a chocolate chip and banana cake that was gluten free. Why not a bread? The answer is simple. Do you remember having a certain candy as a kid and then as an adult you tried it and "they" had changed the recipe? The taste was different, the texture not quite the same, heck, even the size was altered. I didn't want that feeling of disappointment in my attempts to duplicate the recipe and have it fail. I want to cherish this one memory I have of something great. I have made chocolate chip and banana muffins with ease. The simple little bites are the perfect snack when you need something sweet. They make my neighbors happy when a plate is sent to their home. My kids smile, usually with chocolate still on their chins. I made this recipe the first time in a tart pan (see picture above). It is a bit strange but my family doesn't always like their cakes frosted, in fact, they would prefer no frosting make an appearance on any cake. Some times you have to go against the desires of your family and splurge with a batch of frosting, and I did. I made the cake again using cake pans and doubled the recipe. I made the cake and it was moist, chocolatey and reminded me of the bread I had as a kid. I could see the banana, see the specks and taste the goodness from this treat. Life was and is good, not because the recipe is delicious but I can now pass on to my kids two recipes that they can add to their growing recipe collection, one from me and one from their great-grandmother. 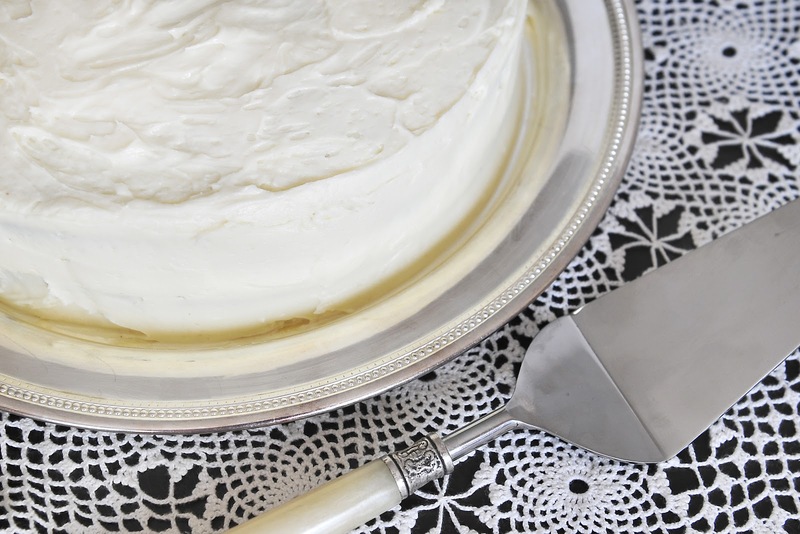 The strands of time reaching from the past into the future through baking. 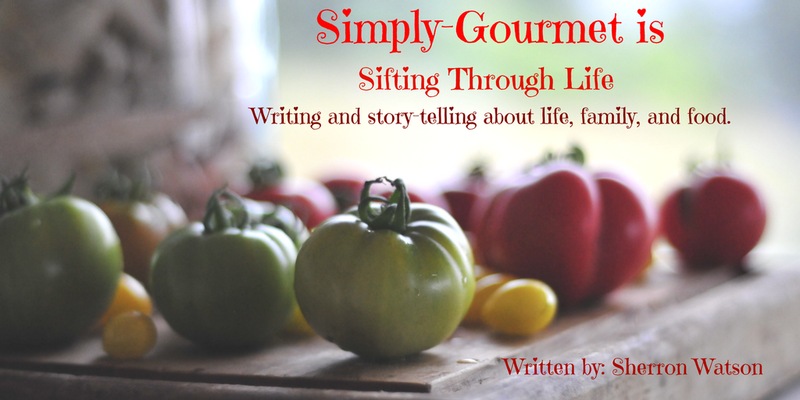 I had a request from my friend Jennifer over at Savory Simple to guest on her blog. She is knee deep into a project that is taking up much of her time for the next little while. I was honored that she would ask, me...ME…to be a guest. Jennifer's blog is one of the first blogs that I followed when I started my blogging adventure in the summer of 2011. She is inspiring in her work. The recipes are wonderful and the photography equally charming and eye catching. Jennifer is funny. I love her sense of humor. Little did I know that we would become friends and neighbors. Well, neighbors, in that we are within driving distance of each other. We both live close to DC. We met for the first time last summer at a wine tasting event through a mutual friend. 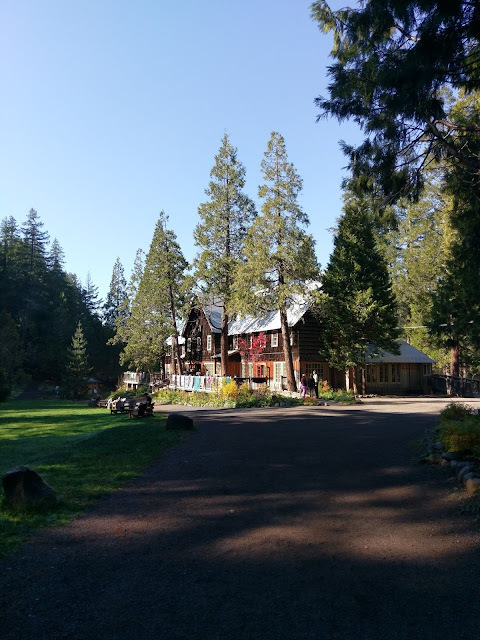 It was a fun experience to chat with the other bloggers, many of which I did not know, and then to meet Jennifer and find that she was the face behind Savory Simple. In the blogging community we each have many friends that we have never had the pleasure of meeting face to face so when on the rare occasion we do, its fun. 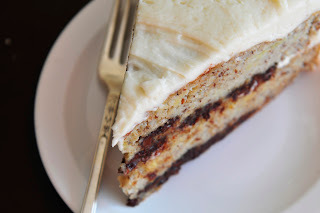 Jennifer is sharing my recipe for the Chocolate Chip and Banana Cake on her page today. HERE. Please take a moment to say hello. I can guarantee that you will be equally inspired by what she is able to do in the kitchen, as I and many others are and have been. I'd love to try the recipe! I have fixed it, sorry about that. I have been very sick and a few things slipped through the cracks this morning. It should link you to Jennifer's site now. Thank you for your comment. AW yay I love both your blogs! I think this looks beautiful and delicious, with or without the frosting! Hi Sherron, I've only recently started following Jennifer and agree that her work is inspirational, both recipes and photography. I was equally pleased yesterday to discover your blog through Jennifer's site and look forward to now following your work too.